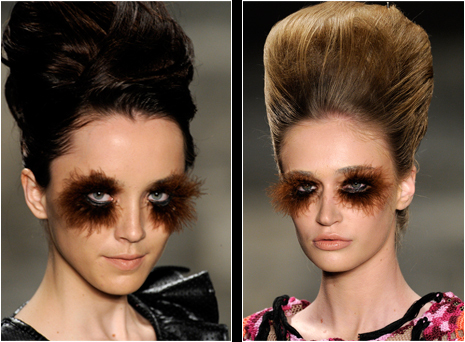 I did not have the time to attend the Fabia Bercsek show last night, but I have to say I love the furry take on the eyes with marabou feathers created by Marcos Costa. They really look like Chewbacca, from Star Wars. i was thinking more like some sort of caterpillar congregation around the eyes. creepy!